If you’re struggling to figure out how to implement social media for your business, this is the guide you need. Social media is a very powerful platform for building your brand and creating a following. Unfortunately most business-owners don’t really know how to utilize it in the most effective way. This guide offers a blueprint on how to get yourself from A to Z in the world of social media and skyrocket your business. With several billion active users across the social media landscape, it only makes sense that you make this monstrous avenue a part of your traffic generation methods. Many marketers have actually seen phenomenal growth and sales through their social media efforts far more so than through organic traffic. That shows the importance and the unlimited opportunity of having a social media presence. No matter your niche, there is a gigantic audience looking for your content and wanting to see what you have to offer. As a matter of fact, millions of people are using social media for search which proves that Google isn’t the only game in town. 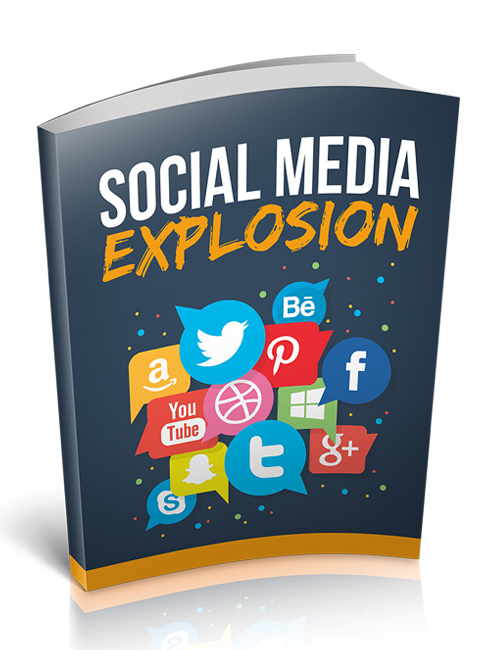 If you really want to kill it, then grab Social Media Explosion now. This is the way forward.